Last May, I attended the launching of Dunlopillo Moments at Rigodon Ballroom, The Peninsula Manila. 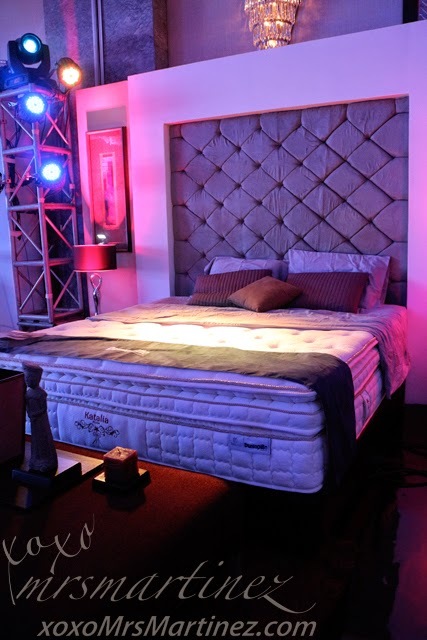 It was a perfect opportunity for me to get to know the brand and its mattresses so I agreed and sent my rsvp. Once I entered the venue, I immediately saw four mattresses laid out in style. 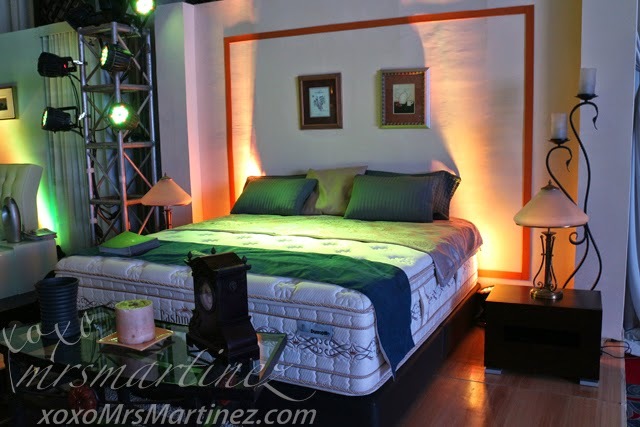 Cashmerian, Corina Luxe, Katalia Plush and Romero Premium are all under Dunlopillo's latest line of Florelle Mattresses. “Each one is infused with Tala Silver technology and is very effective in preventing the growth of bacteria and mold, making mattresses last longer and keeping sleepers fit, in the long run.” says Thinaharan Muthusamy Tangavelu, Managing Director of Dunlopillo International. All Florelle Mattresses possess Dunlopillo’s Individual Pocketed Spring (IPS) system for minimal partner disturbance throughout the night. The isolated spring coils disperse movement and jolting caused by outside forces for sleep that lasts. I remember when we were just newly married (not so long ago), we were looking all over the metro for the best mattress that was suitable for both of us. You see, I move a lot when I am asleep. We compromised and ended up getting a firm mattress so he would not feel my movements. If we were to change mattress right at this moment, I would gladly consider Dunlopillo because I think the IPS system is its best feature. For the good news, Dunlopillo is offering a trade-in promo. 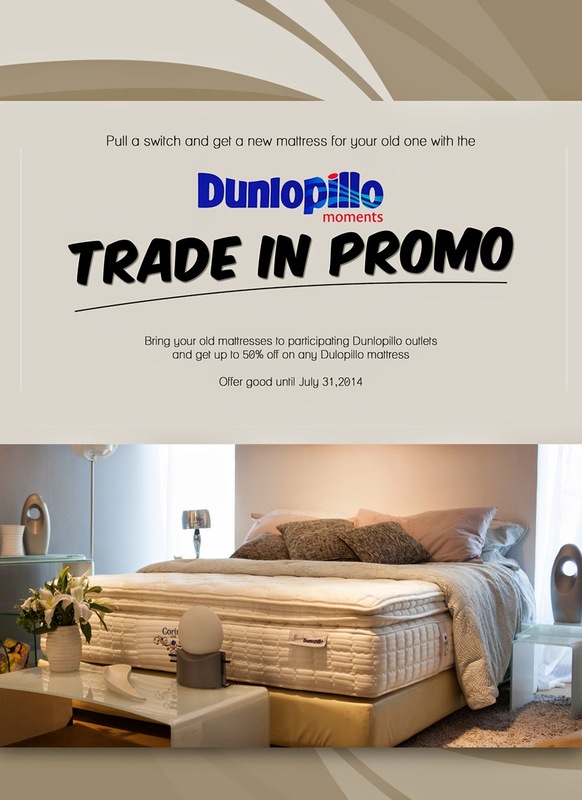 All you have to do is take your old mattress to select Dunlopillo outlets and get up to 50% off your new Dunlopillo mattress. Offer lasts until July 31, 2014 only! Like DUNLOPILLOPH on Facebook and Instagram for more information and updates.